Adhesive floor striping tape is easy and quick to install, a clean option to use and can be surprisingly durable in some situations. 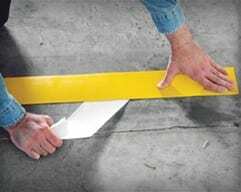 Adhesive floor striping tape is easy to install, clean to use and can be applied quickly if needed. ASG Services provide many types of floor striping tape, each with its own characteristic and benefit for the customer. 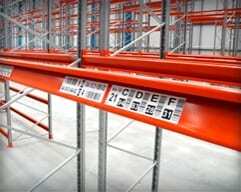 The options can be categorized in three main groups, cost effective, durable and anti-slip floor tape. 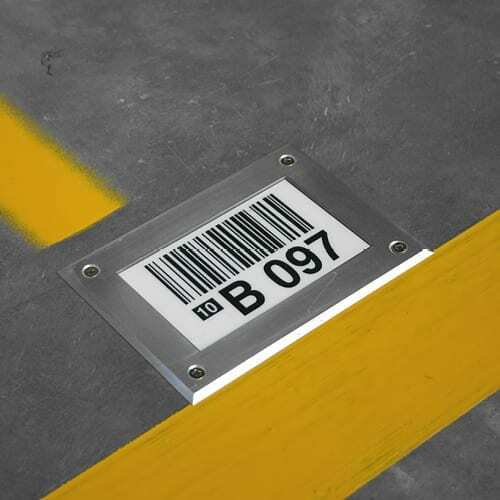 Durable floor tapes include brands such as DuraStripe®, SafetyTac®, and SuperiorMark®. 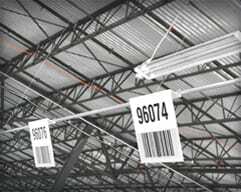 These brands provide extremely durable floor tape for use in busy distribution center environments and have been proven by each manufacturer to provide strength and high performance. 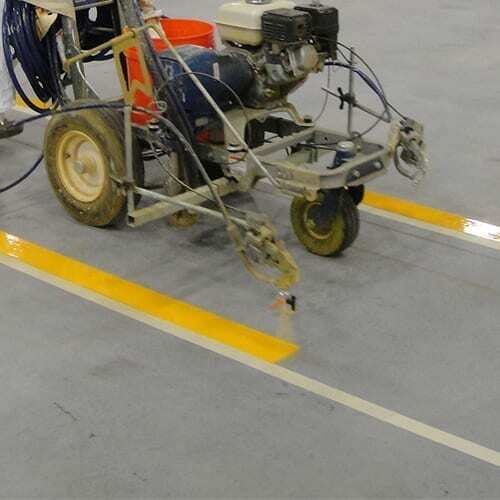 ASG Services often provide installation projects using these types of floor striping tapes, however we cannot assure customers that the tape will withstand continued impact and peeling from temperature fluctuations and snagging. 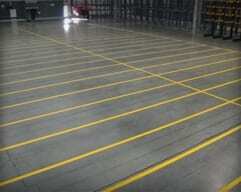 Anti-slip striping tape has many functions all with the common need, to create floor striping with added grip. 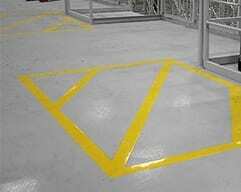 This is often essential in and around storage facilities and distribution centers where pedestrian walkways and striping come close to doorways which are susceptible to moisture. Anti slip striping tape is also excellent when used on steps, creating improved grip and high visibility markings for stair nosing’s. 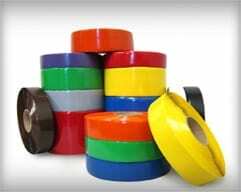 PVC tape is the cheapest option in ASG Services floor striping tape range, it is thin, available in a range of colors and available from most hardware outlets. ASG Services sell this item on their online store, however it is not a product recommended in our projects due to its lack of durability and general poor performance. ASG Services always warn customers about the durability of floor striping tape, in most cases floor tape is an ideal solution, however in others it will perform poorly. Pre-installation preparation is essential. All surfaces should be thoroughly cleaned of dirt, dust and residue, to give floor tape the best chance to perform. Failure to do this will result in the tape peeling, if it sticks at all. 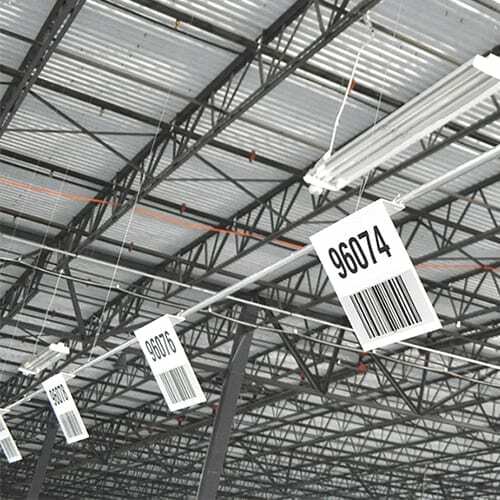 ASG Services provide fully managed installations through the US, our installation teams are trained and insured to work on all customer sites. 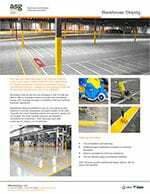 Their knowledge of the correct application processes result in successful floor striping tape installations every time. Call us today and get the answers you need before buy floor tape, (877) 447-9798. 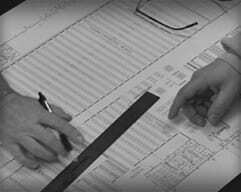 You can send your questions along with images and drawings so we can help you with your project in more detail. If you're happy to buy it right now, visit our online store and we'll get it on its way to you.